DID YOU KNOW THE CREATOR OF THE PEACE SIGN WANTED IT TO POINT UP? Ever think about the peace sign? Has humanity gotten more "peaceful" since the creation of the peace sign? Not really, huh? Should humanity be using it? I mean, it’s just a symbol for love and a desire for world peace... right? So what’s the problem? Love and world peace are very good things! RIGHT? Well, to understand this topic a little better, we have to dig a little deeper into the history of our beloved "peace" symbol. The peace symbol, in its proper right-side UP position is a depiction of the Kabbalic Sephiroth or the Tree of Life. 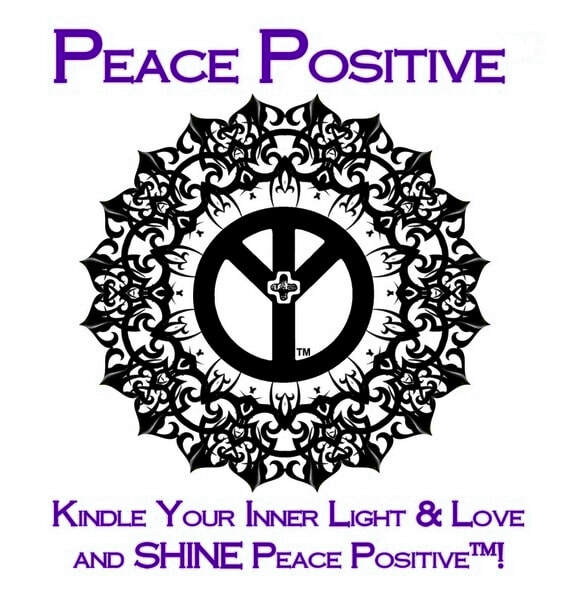 Unfortunately, we've been given false information about the peace symbol, as the current upside-down position sub-consciously emanates the opposite energy of peace. Which in turn, is potentially keeping humanity trapped in a cycle of war, death and despair. Have you ever thought of what the origins of the beloved peace sign are, and what those origins mean? The most common explanation for the origin and meaning of the symbol comes from the start of the peace movement itself. 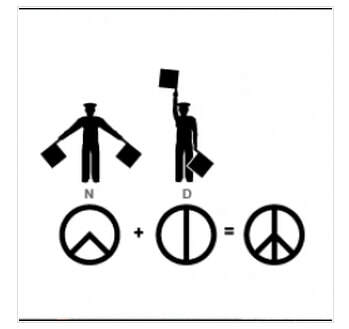 That the symbol was designed in 1958 when Gerald Holtom combined the semaphore N with the semaphore D (“nuclear disarmament”) to symbolize the link between the end of nuclear weapons and the beginning of peace. The combined symbol is enclosed in a circle to represent “all encompassing” or “total”. Some issues have been raised beyond this explanation, however. The first being the words from the designer himself. Holtom eventually came to sincerely regret the symbol of despair and wanted the symbol to be inverted UPWARDS. In fact, for the remainder of his life he would only draw the upright peace symbol, and his last dying wish was that the upright version be placed on his tombstone. Unfortunately, his dying wish was ignored. So here we have the first negative connection to the sign: It means despair. 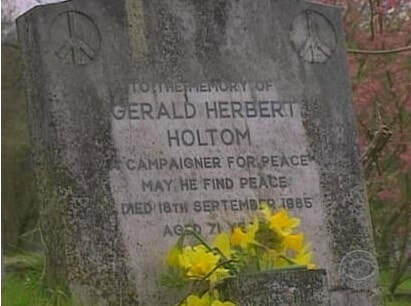 Read the interview with Tim Holtom (nephew of Gerald Holtom) on Time Peace... HERE. Are there other meanings beyond despair? Also, the peace symbol dates back to ancient times. The fifth and final Roman emperor of the Julio-Claudian dynasty, Nero (born Lucius Domitius Ahenabarbus 37 – 68 AD), is remembered in history for persecuting Christians. Nero’s rule was so cruel and wicked, that he even had his mother executed. The First Roman-Jewish War (66 – 70 AD) started during his reign and today the term “Nero Cross” [today's peace symbol] is the symbol of the “broken Jew” or the “broken cross.” It was used for centuries and was also adapted into satanic rituals. This "peace" symbol has also been used on RUNES. Here are a couple of links regarding the symbol's meaning and history. So, there you have it! You have your choice in what this down-pointing peace sign means. Is it an upside down broken cross? Is it a symbol of National Socialist Germany? Is it a sign of despair and sadness? Is it a sign for negativity and/or death? None of these seem like good choices for the use of a powerful and positive PEACE symbol... do they? Today, I (Kehrey Anne Dean) am unable to see the peace sign, pointing downward, as a symbol of peace. The origins and history of the sign lie in communism, despair, sadness, death and the mocking of certain peoples. Standard muscle testing confirms that the body recognizes the symbol as a negative symbol. The current meaning of the down-pointing sign appears to be that we can (and should) have peace without truth. It is an idol of the "desire for peace" without facing the truths of our current situations. You simply cannot create peace through force, war, ignorance to facts and truths, intolerance of the beliefs or needs of others, or the inability to recognize the areas within our world, communities and our own lives that carry unrest and that often get overlooked or simply ignored. We cannot manifest positive results with ideas based in fear, negativity, despair and sadness. It's time to kick the peace sign up... RIGHT-SIDE UP! It's time to bring our individual and group conscious and/or unconscious actions (or non-actions) into the light of awareness and take proper action to properly align what we know in our hearts to be the right things to do... both globally and individually. Peace starts within YOU. You cannot properly love your neighbor as you love yourself... if you do not properly love yourself first to begin with. Peace and happiness doesn't come from outside ourselves. It comes from somewhere within ourselves. Those areas within ourselves that must be forgiven, nurtured, loved and raised up... so that true peace, love and happiness can shine out from within us and around us with those who really matter and are closest to us. Everything in life gives off a subtle vibration... positive or negative. The peace sign raised in an up-right position is a POSITIVE symbol that just about everyone can literally feel. It reminds us that true peace and happiness starts within ourselves. We each create peace where it matters... within our hearts and homes... and among our friends and family. So, we here at Peace Positive™ feel that we should be drawing, wearing, displaying and promoting the peace sign right-side UP. "Life is a set of pictures. we change ourselves and, inadvertently, the world around us!" ﻿With arms raised UP as a symbol of life, celebration and JOY. 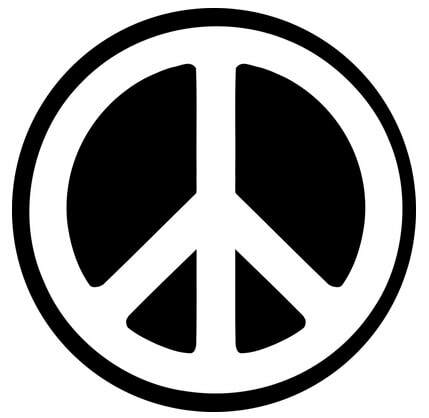 An individual pro-peace symbol... rather than a (despair-filled) "anti-war" symbol.